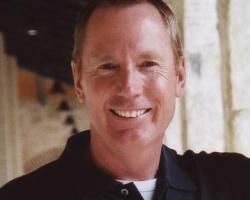 Max Lucado is one of America's best-known preachers. He is the minister of preaching at Oak Hills Church in San Antonio. His books have sold more than 80 million copies, and his latest volume is Max On Life: Answers and Insights to Your Most Important Questions. He recently visited with Preaching Executive Editor Michael Duduit. Preaching: Your newest book, Max on Life, is a series of questions and answers dealing with different themes. Tell me what led you to use this approach? Lucado: I think you could say every pastor is writing this book; for many it just never gets published. All I did was collect a few of the questions I've been asked through the years, write up a brief response and put them in this publication. As a pastor, you get asked questions and receive emails. Many of them I had answered, but just in conversation. So we kind of re-crafted the question and answered it. It turned out to be an interesting exercise. I hope it's encouraging for people. I've never really prided myself as being quick on my feet. Maybe you've had the experience where somebody's asked you a question and you give an answer, then later in the day you think, "Oh, I wish I'd said that!" I tend to journal these things and put the answers in sermons. It was a matter of going back through a lot of sermons and remembering the questions and conversations, where these ideas came from. So the book is really kind of a second chance to answer these questions. Preaching: What was the hardest question? Lucado: I think the hardest one had to do with suffering. It had to do with all of our church members and friends passing through difficult times. Sometimes it's the global climate: tsunamis, earthquakes, radiation. I think these kinds of questions are absolutely the most difficult, yet we need to be ready to respond to them because we have to be able as pastors to walk people through these valleys, these tough times in their lives. Preaching: Do you have a favorite question in the book? Lucado: No one has asked me that. I never thought whether there's a favorite one. I think there is, not in the sense that I enjoy it, but that it's an important question. It's the question, "Does the presence of pain mean God doesn't care? Does God not love me anymore?" I think that's a very common connection we tend to make. I see that a lot in my own life and in the lives of others. Does the presence of pain mean the absence of God? I try to help people see that God uses pain, that pain is one of the ways God shapes us into the kind of beings He wants us to be for eternity. I don't know how to answer the problem of deep pain without a deep hope in eternity. If the purpose of life is just to live this life and then die, it's hard to answer the purpose of pain question; but if we can help people see from an eternal perspective—that all of this is working together to prepare us for something higher than we've ever imagined, more noble than we've ever dreamed—then we discover some hope that we can hold on to. Preaching: This book is divided into seven topical sections: hope, hurt, help, him or her, home, haves, have-nots and hereafter. That's a pretty good list for a balanced preaching ministry. Those are issues Scripture deals with and issues that are on the minds of people today. Lucado: If you could have seen me last summer putting this together with stacks of questions! I spent the better part of a week trying to figure out how to organize these stacks of 30 years of conversations and dialogues. I finally began clustering them in these different categories, and I ended up with the ones you listed. It's interesting to me the kinds of questions I haven't been called to wrestle with. For example, I don't know what this says, but I'm not asked a lot of political questions. I don't get asked a lot of questions about science and the Bible, for example. Probably people just know I'm not very smart and I don't have an answer to those anyway. I don't get asked a lot of questions about who is the best political candidate or what my position is on what the Senate is about to do. From my perspective, most of my life has been dealing with the day-to-day, kitchen-to-bedroom-to-living-room-to-garage life with people. Most people are just trying to figure out how to love the people in their world, to love their God and to deal with some of these questions about God. Preaching: As we preach, we seek to take Scripture and apply it to the real life needs of people. Sermon application seems to be one of the areas in which many pastors struggle the most. How do you approach application as you prepare to preach? Lucado: I really believe the purpose of Scripture is to give us this authoritative handbook. We have a place where we can take people when they come to us with questions so we're not just speaking out of our own opinion. We're really speaking to them out of an authoritative place, not because of what we discovered, but because of what God says. You know, it's one thing for me to tell people not to worry. It's another thing entirely to quote Matthew 6, where Jesus says, "Why do you worry? The birds of the air, the flowers of the field…" He says, "I tell you, do not worry." So, when we speak from that perspective, the comfort carries with it a higher level, a deeper sense of magnitude. The second part of this is the Holy Spirit uses the Scripture as a sword. The Word is the sword of the Spirit. So the Holy Spirit uses Scripture, uses the Bible to penetrate people's hearts. So, every time we equip the church with a verse, chapter or a story from the Bible, we're really placing another weapon in the hands of the Holy Spirit that He uses to challenge and strengthen the church. I think that's very important. Preaching: As you go through the process of preparing a message, at what point does application begin to come into that mix? Lucado: In the first paragraph. To me it does. I'm thinking, "What difference will this sermon make in their lives tomorrow? What am I trying to give them that will make a difference?" The sermon I preached this past weekend, for example, had to do with the theme that Jesus will not let go of you. He will not let go of you. He's holding onto you. I talked to them about the disciples and Peter on the night before the crucifixion of Christ—how Jesus said that all of you are going to turn away, but He would be waiting for them in Galilee. I try to help people see they're going to have these times in which they turn away, in which they deny Christ and their faith grows cold, their convictions weakened; but Jesus is waiting. It's not our hold on Him, but His hold on us. So immediately I'm trying to think: What are some of these times when we feel we're losing our hold on Christ, and what's the fear we're trying to address? I try to get into that quickly. I don't have a lot of time in the sermon anyway. The sermon is only 25 minutes, which to me is frighteningly short. So I feel as if I need to get into that pretty quickly and make it as practical and accessible as possible. Preaching: You've been writing for 25 years and preaching longer than that. Have you found that your approach to application has changed through the years? Lucado: I don't think so. I think I could do better in my approach to application. I think I could do better in preaching practical sermons. Most of my sermons are inspirational, and I believe people need that encouragement. I have some friends whose sermons are extremely practical—so practical that I can put them right to use. I'm trying to learn how to do that better; but I don't think my approach or style really has changed in these 30 years. Whether that's good or bad I don't know, but I don't think it has. Preaching: How do you decide what you are going to be preaching? I know you preach in series. How far out are you planning those? Lucado: I'm trying to decide right now. In March 2011 I'm trying to decide on a sermon series that I will preach in January 2012. So, I'm about six months out. I'm right now wrapping up the sermon series on grace. I'd like to figure out what this next series will be in January. To do that, I'm going to come up with four or five really good ideas—at least that I think are really good ideas—and if I don't sense God really highlighting one of those, I will go to the elders of our church and my co-pastors. I'll give them a nugget of each of these—a brief description of each of the sermon series. I'll say, "Do you sense one of these over the other?" and see what they tell me. Usually between my thoughts and theirs, an idea surfaces that I really feel good about. Preaching: So you're planning a good many months out. When you actually start the process of writing the message for a particular Sunday, how far out do you start? Lucado: About three weeks out, I try to map the whole series. Right now I'm doing a series called, "What Happens When Grace Happens?" It's a 13-week series. Last summer, I went away for a couple of weeks and pretty well mapped out the big points of each message. Then I put it on the shelf, and about a month out I started preparing the messages. Usually I'm able to prepare a message about two to three weeks in advance. I know some preachers don't like that. They want to be finishing it on Friday before they preach it on Sunday, but our worship team really likes me to get it done way in advance. So does our graphics team. We're also a multi-site church, so we have other pastors on other campuses who want to read the message before the video plays on the weekend services. So it just works better for me. I co-pastor now, so I preach six months, then another guy preaches six months. So that's really why I'm preparing for January, because I'll finish in June; then I'll be writing and doing other projects for the rest of the year. That started about three years ago. So it's not like I'm that far in advance; it's just that it's my next time up. It used to be that I would be planning the September sermon series. Preaching: As you were planning your current series on grace, did you start with themes or topics first? Do you begin with some biblical texts on grace? What's your approach to developing a series like that? Lucado: What I try to do is narrow the sermon series down to one big question. In this case the question is: What happens when grace happens? I knew I wanted to preach about grace. I just felt as if it was time for our church to be refreshed and see the beauty of God's grace—the uniqueness of the Christian grace as compared to the teachings of other world religions on forgiveness. I think we have such a crown jewel in the forgiveness of God, and it changes people's lives. I wanted to talk about how grace in and of itself changes us. It changes the way we treat other people, the way we view our lives, the way we treat our purpose and our eternal identity. It took me a long time to narrow it down to that one question, but I felt very good about that question: What happens when grace happens? So for the past 10 or 11 weeks, each week I've unpacked that. I'm just like other pastors. I want a real take-home quality to the sermon, so I built the whole sermon series around the word grace, those five letters. We have up on our platform big cubes that spell G-R-A-C-E. Five cubes—kind of like dice that come up to my waist. So I'll stand behind the G and remind people first that grace is a gift. Then I move to the R and talk about how grace is redemption; to the A, how grace is acceptance; to the C, how grace turns us into Christians, how Christ lives in us. Yesterday's message was established. We're established in grace. Some people find those a little hokey, but I find them very practical little memory tools to give the church. I think it connects with people. Then it gives me a big skeleton outline in which I can work in terms of planning the sermon series. Preaching: As you and your co-pastor look at the year in terms of what is going to be preached, do you have any particular model or formula concerning what topics you'll deal with this year? Do you do that kind of planning together? Lucado: My co-pastor is Randy Frazee. Randy is the brightest bulb in this box. He really has a feeling for what a church needs in terms of maturity, so I listen to him. We've been working together for three years. His first idea was: Let's take the whole church through the Bible in a chronological fashion. We used a Bible called The Story. We took the whole church through The Story. He did the Old Testament, and I did the New Testament. That took us about a year. Then he wanted to really zero in on the Book of Romans in his teaching season. As he was teaching Romans, I was praying about what I needed to teach. I felt it wasn't time to move out of the theme of Romans, which is salvation by grace through faith. So I said I just want to camp on this one more time, and he felt very good about that. He feels that once I finish this grace series, the church is ready for some practical steps toward spiritual maturity in terms of how the Bible is understand, how it's applied, how we treat our neighbors and so forth. So, he's planning a series this fall; I don't know the title yet, but I think it will be more of a "roll up your sleeves and put your faith to work" kind of a series. Preaching: If you knew you had only one series left in you, what would it be? Lucado: It would be the seven sayings of Christ on the cross. I just love those: "Father forgive them, they know not what they do. I thirst. It is finished. Into Your hands I commit My spirit. Today you will be with Me in paradise." That was really the heart of the second book I wrote called No Wonder They Call Him Savior. Someday I want to go back and maybe write another book on those seven sayings. I just think they are kind of like a table of contents to the Christian hope. They invite us to go into all the aspects of the heart of Jesus. Everything about them from the drama, the setting, the passion around them—I think the seven sayings of the cross are powerful. Preaching: When you finish a series such as the one you are in right now, What Happens When Grace Happens, will that become a book? Lucado: Yes. All of my sermons become books. I've been accused of having no unpublished thought. I encourage pastors to do that. I think there are so many great sermons that never really get circulation. They go into a file drawer, but they're only really a generation or two from being turned into a great book. I think what happens is that we're so busy as pastors that we never get around to trying to turn that material into a book. It's a shame because there is so much good material out there that needs to be published. Preaching: How much work goes into the transition process from sermon to book? How different is the sermon as preached from the chapter as published? Lucado: I'm very careful. I don't want my book to sound like a transcript. So I go back and I work, rework and rework the sermon so it takes on a more poetic feel, where it feels as if it appeared first on the page—though everybody knows, at least I tell people, that it was a sermon first. It takes a lot more work. I think when I finish a sermon series that a book is about 20 percent complete. They need a lot of work to turn it into a book. Then my editors come in and they'll have a lot of suggestions, too. So, it still needs quite a bit of work. Preaching: What do you love most about preaching? Lucado: I love the sermon preparation process. I really do. I come in on Mondays and am always pretty tired. Most pastors take Mondays off, but I like to come in on a Monday and just slug my way through the day. Sometime during the day I'll start getting some ideas and insights and energy as to the sermon I'm preparing that week. I love pulling books off the shelf or getting something online and seeing what others have done with that text. I'm praying about it, and then those "Aha" moments in which you have a discovery or a new way to say an old truth…maybe you come across a new story, a new sermon illustration. You find a phrase that really works; and it's just a wonderful journey, a wonderful thing. It's kind of like being an artist with words and ideas. You know, we have a 25-minute sermon. I multiplied 25 times our average attendance, and I realized that every weekend I'm entrusted with about a year of humanity. That's a lot of time. Preaching: That's intimidating, isn't it? Lucado: Yes, and that humbles me. I can't believe these people are giving me 25 or 30 minutes of their lives. They're going to listen to me. They're going to believe me. They're taking notes on what I'm saying. I can't believe this. It's a phenomenal honor, and the longer I preach the more I realize what an honor it is. It's humbling in some ways. It's just a pretty exciting privilege.